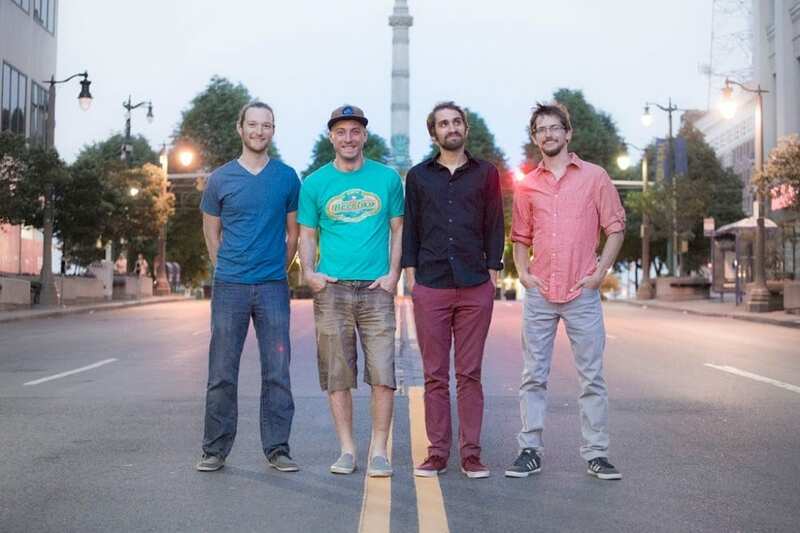 Buffalo groove rockers Aqueous are often known for their unique and interesting covers. For Halloween 2015, the band famously knocked out Pink Floyd’s Dark Side of the Moon, in its entirety, dressed as the characters of Wizard of Oz. They rang in the new year in 2018 featuring their spin on the music of Gorillaz. 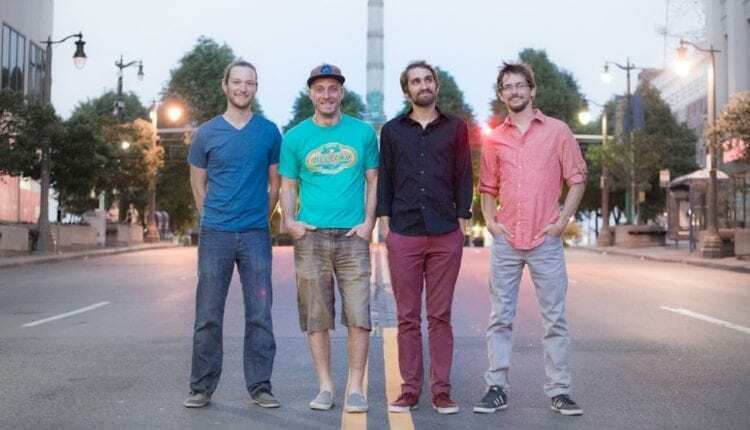 And with Aqueous tributes and theme sets that have included everything from the music of the Beatles, Cake and the Red Hot Chili Peppers to video games like Super Mario Bros. and TV show theme songs like Rugrats and Friends, Aqueous fans have come to expect the unexpected. Cut to Summer Camp 2018, where the quartet surprised fans during their Friday late night set at the Campfire stage with an unforeseen debut of Oysterhead’s “Pseudo Suicide”. 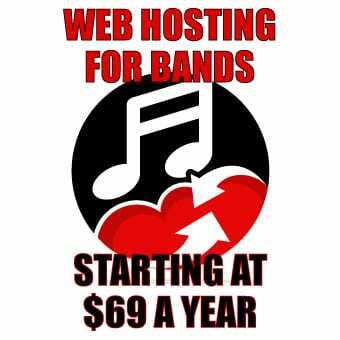 A now dormant super group, Oysterhead featured bassist Les Claypool of Primus, Phish frontman and guitarist Trey Anastasio and drummer Stewart Copeland of the Police. The project’s style and sound is a collaborative eclectic mix of bass-oriented funk metal featuring both Claypool and Anastasio on vocals. “We were all floored by its epic weirdness” said Aqueous’ Mike Gantzer via e-mail about the project’s only release The Grand Pecking Order. When the band saw they were slated for two late night sets at this year’s Summer Camp Music Festival, they knew they had they opportunity to debut the song. Gantzer also lovingly joked that it was one particular diehard fan that “pestered the band to cover Oysterhead” that deserves credit for encouraging the band to bust out the tune. 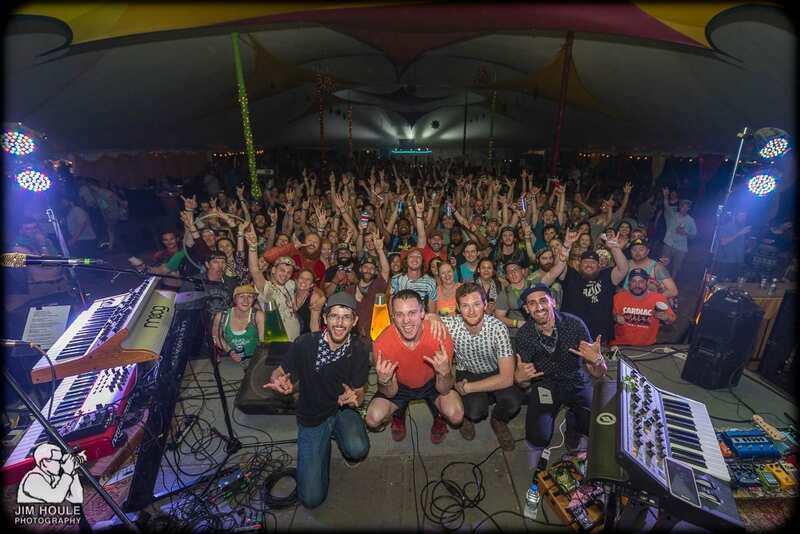 Aqueous continues their packed summer with Disc Jam Music Festival in Stephentown, NY on Thursday June 7 and Denver’s Bluebird Theater on June 9. They are also slated for stops at this summer’s Electric Forest, Peach Music Festival, Cobblestone Live and Night Lights Music Festival. Aqueous lead singer and guitarist, Mike Gantzer was recently a guest on the Empire State Music Podcast. Click through to listen to his interview with Andy Hogan.